Kerancia: Valentine's Day - Marketing Hype or Something Special? 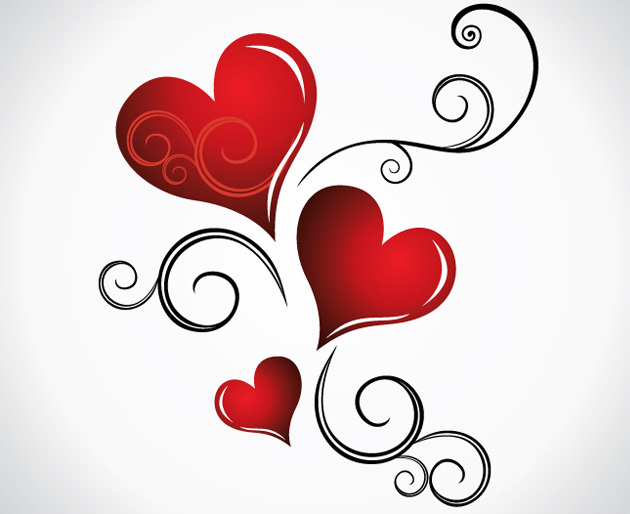 Valentine's Day - Marketing Hype or Something Special? It is getting to be that day of the year again. Most couples love it and singles hate it. The pink and red. The chocolates. The flowers. The restaurants. The multitude of advertisements and posters appealing you to buy an item for your beloved. If you are in a relationship and you do not celebrate it, then you are just not romantic enough. If you are single, you basically try and overlook the sappiness of the entire situation and pretend that this is really just a day like any other while you battle your way through hordes of bouquet wielding couples and stay home for dinner because you do not want to be dining out with forty other couples in one place. Now there has to be some sense to it all for the practice to have come along so far and evolve to such prominence that it has become that second largest cardsending holiday of the year, after Christmas. There must be some sense to it all for perfectly discerning individuals to spend a tiny fortune to make this one day a special, momentous occasion for their sweetheart. A perfectly reasonable explanation as to why so many choose for this one specific day over three hundred and sixty four others to declare their undying love and affection to their beau. In a time where technology pervades almost every aspect of our lives, where emails, Facebook, text messaging and other forms of electronic, second-hand experiences and communication are the norm, perhaps it is not such a surprise that there are more than a few individuals who would like to hang on to the ageold tradition of a handwritten card carrying words of affection and a planned night out together. Perhaps it is the simple act of scheduling time together, planning something special and making the effort to ensure that your significant other has a good time on a day where everyone else seems to be making that extra effort to do the same. However, Valentine’s Day does not have to be a day set aside for just couples. Many times, it can also be a celebration of friendship or even admiration for someone. Take the traditional colors of Valentine’s Day for example, pink is a sign of admiration while red expresses beauty and love although red roses are traditionally exchanged by couples or individuals who wish to express their feelings to one another. While it can be easy to relegate the day to just couples and dismiss it altogether when you’re single, it would in reality, be a lot more wonderful if people started viewing Valentine’s Day as a day to celebrate all kinds of relationship and not just the romantic sort. While it might not be quite so masculine for guys to gift one another a box of chocolates, a written note or card of appreciation for all the times they were each other’s “wingman” would be nice. Everyone likes to be appreciated, and isn’t that what Valentine’s Day is about? A day to show your love and appreciation to the ones you care most? On that note, how about showing some appreciation to yourself? Love yourself first, and you would be surprised at how that translates into loving and appreciating the people around you better. Make it a day of appreciation and spend it well with friends and even yourself. Instead of spending every holiday feeling stressed and loaded with plans to please others, take some time out for yourself before you embark on making the day a special one for the people you love. Whether it’s Thanksgiving, Christmas, the New Year or any other holiday, once you have gotten into the habit of appreciating yourself first, it sets you in a great position to appreciate others. So remember, however way you wish to spend the coming February 14, or any other holiday throughout the year, be your own best Valentine!